Patricia A. Ganz, MD—Patti to her friends and colleagues—sees herself as positive minded. “As an oncologist, you have to be very optimistic,” she said. Her mother used to say that everything turns out for the best, and this same philosophy has served Ganz well during a career spanning 4 decades. A pioneer in cancer survivorship and the late effects of cancer treatment, with heavy clinical and research involvement in breast cancer and its prevention, Ganz has spent much of her life working to improve the quality of care for patients with cancer. Treating the whole patient and delivering high-quality cancer care are concepts she has embraced throughout her career. 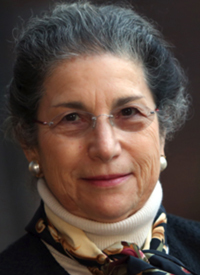 She has been a faculty member of the David Geffen School of Medicine at UCLA since 1978 and the UCLA Fielding School of Public Health since 1992. Currently she is director of the Center for Cancer Prevention and Control Research at the Jonsson Comprehensive Cancer Center (JCCC) at UCLA. Although she worked in a pediatric cardiology laboratory at UCLA during summer breaks in college, Ganz correctly anticipated that her career focus would be on adults, largely as a result of exposure to her father’s practice in occupational medicine for workers in the industrial area of Los Angeles. She briefly considered becoming a cardiologist. However, when she became a first-year resident in the 1970s, a dynamic new chief of hematology and oncology served as her attending physician and sparked her interest in this exciting field. It didn’t hurt that chemotherapy drugs were being introduced that revolutionized the treatment landscape. “Some of the new drugs that were becoming available, like cisplatin and doxorubicin, were really exciting, and I thought, ‘Oh my gosh, it looks like we’re going to be able to cure cancer,’” Ganz said. Growing up in Los Angeles, Ganz had a broad range of service-oriented interests and no shortage of role models. She also had diverse academic interests in high school. Ganz credits her parents for encouraging her to explore every possibility. In addition to doing clerical work for her father’s medical practice in the summers, Ganz drew inspiration from her mother’s search for professional fulfillment outside the home. “You have to imagine, this was in the 1960s. Where I grew up, nobody’s mother worked,” said Ganz. Nevertheless, after high school, Ganz attended Radcliffe College and was a member of a class of 300 women who, in 1969, were the last to graduate separately from Harvard University. In the all-female class, Ganz was “surrounded by bright women.” Ganz said that she never would have thought of going to medical school were it not for the women in classes ahead of her who inspired her. Ganz had a wonderful medical support team and said that running that unit pointed her toward the concept of whole-patient care.